Last year I pledged (and made) 12 quilts for Ronald McDonald House. That was a little overwhelming, so I decided on 6 quilts this year. I’ve now finished the last one, and here they are! All are about 40 inches square. The first was made from a pattern called Ribbon Box, available free from Cloud 9 Fabrics. 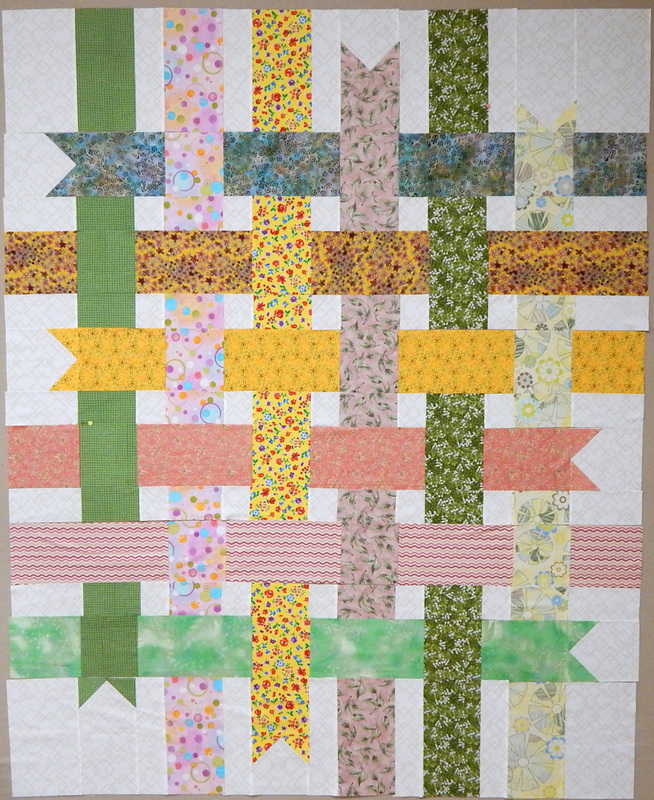 The next was from the last of the many wonky 9-patch blocks. I made these for a quilt, but didn’t like the way they looked all together. Luckily they look just fine with alternate solid blocks. The next two were to use fabric with vehicles, since sometimes we run short on “boy” quilts. 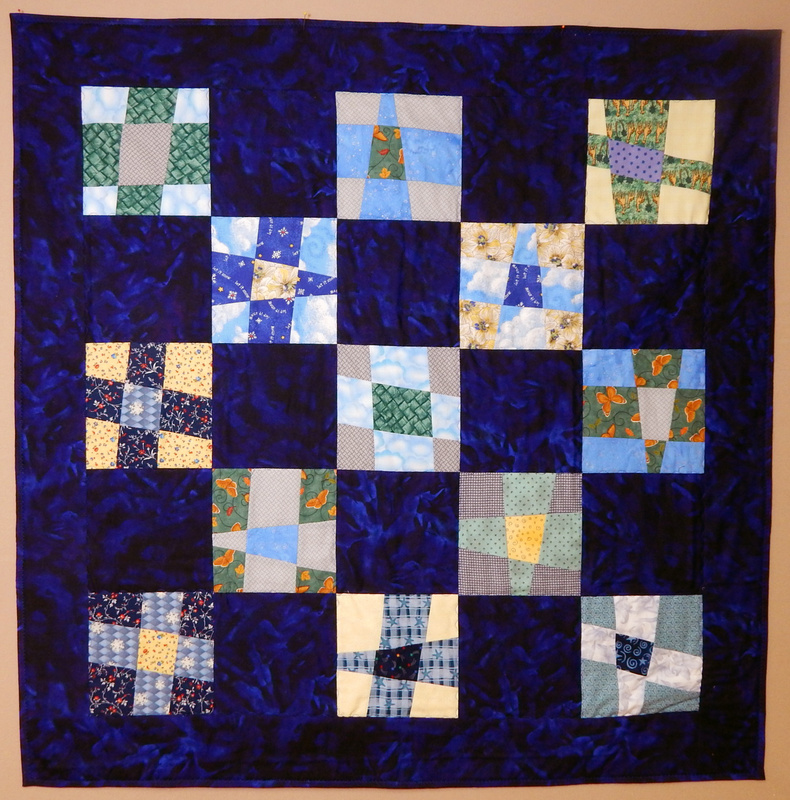 This entry was posted in Donation Quilts, Free Quilt Pattern, Modern Quilts, Quilting and tagged donation quilt, Free Quilt Pattern, modern quilt, Quilt, quilting by zippyquilts. Bookmark the permalink. I think the charm squares one is my favorite. But wow! 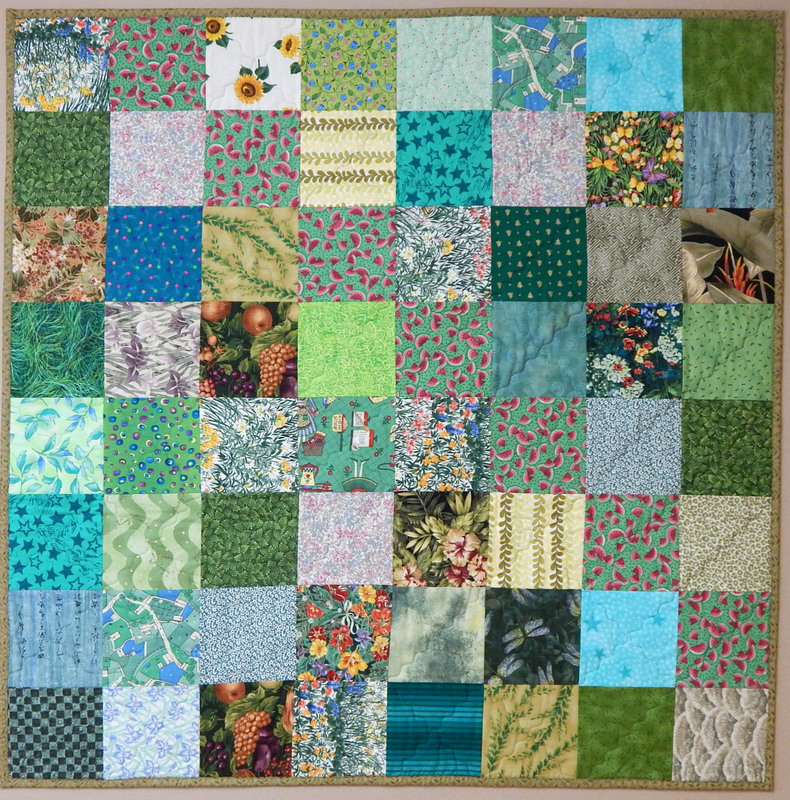 6 quilts! I hope they bring love and comfort to the recipients! It’s good to have something to do with charm squares, since they seem to jump on me 😆 Thanks for visiting! Six finishes is an excellent accomplishment! I particularly like the wonky nine-patches. 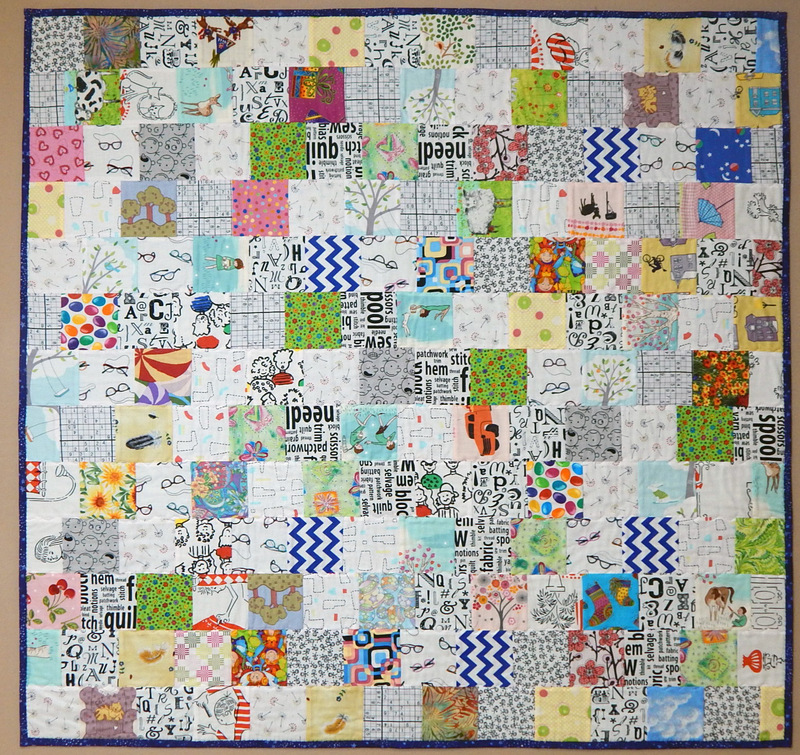 What an incredible commitment and dedication – hats off to you and your wonderful gifts of quilts to this charity organization! Thank you 😀 Little quilts are a great way to try out new things! Good for you, Mary! Your generosity is a wonderful thing. I always love seeing your blog and reading about your latest quit changes, events and your commitment to charities! You are an inspiration to all! Thanks! Good work, Mary! We have 3 more months of the year and I intend to make 3 more VA Hospital quilts before the year is done. It feels good to give. Excellent! Is there a VA hospital near you, or do you send them off somewhere? I’ve been wanting to make that ribbon pattern pattern for a long time. It looks great!